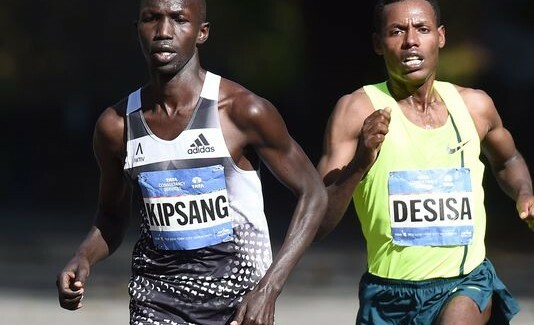 Will it be another Kipping versus Desisa battle in Central Park? The Weekend’s Best Matchups returns after a long layoff, just in time for the best weekend of the fall. 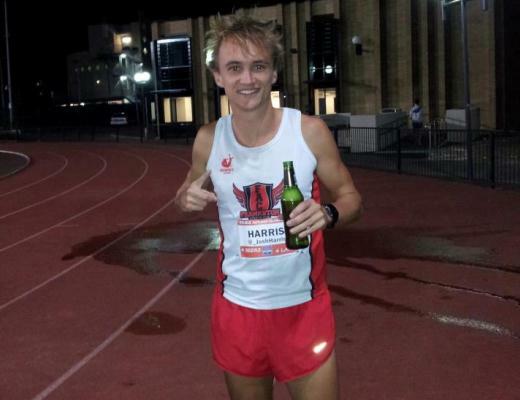 It’s the New York City Marathon plus conference championship weekend in college cross country. Of course the biggest matchups come in the Big Apple. Both the Yankees and Red Sox were done playing long ago, but that doesn’t mean we can’t still stir up some inter-city rivalry. The favorite in the men’s race at New York is Wilson Kipsang. 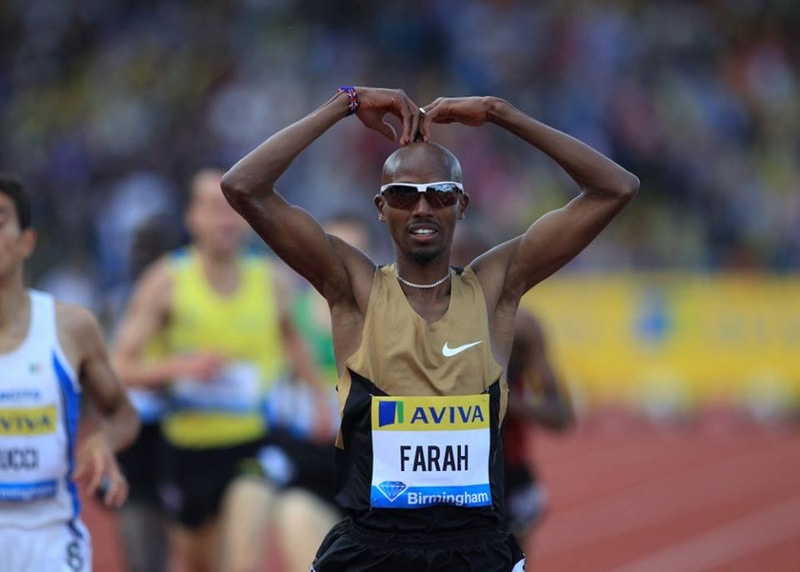 He’s the defending champion, one of the fastest marathoners of all time, and the reigning World Marathon Majors champion. But he was second in London in April, then was a DNF at the World Championships. Some doubts surround him. The man mentioned most often as the challenger to Kipsang is Lelisa Desisa, the reigning Boston Marathon champion–and second to Kipsang at last year’s NYC race in a thrilling battle to the finish. He was seventh at the Worlds—just ten weeks ago—and turning around that quickly isn’t easy. I picked Stanley Biwott for the upset win on this week’s House of Run podcast, and Geoffrey Kamworor is a tremendous runner at shorter distances who hasn’t quite put it all together in the marathon, at least not yet. It’s a marathon, which means we should expect the unexpected. The women’s race, which starts a half hour ahead of the men’s race, also features the defending New York champion and the 2015 Boston champion. Unlike the men’s race, one of those two is a heavy favorite. Mary Keitany has lost just one race in the last three years (this year’s London Marathon) and looks ready to win again. The Boston champ, Caroline Rotich, is probably not the biggest threat to Keitany. Rather, it’s the woman who beat her in London, Tigist Tufa. The “known unknown” in the race is Sally Kipyego, a first-time marathoner who won Olympic silver on the track three years ago. In chronological order, here are the college hill-and-dale races you should pay attention to. Virginia Tech’s Thomas Curtin pulled off a huge upset two week’s ago at the Pre-Nationals when he beat Edward Cheserek, Oregon’s two-time defending NCAA champion. Syracuse’s Justyn Knight was runner-up at the other major meet of that weekend, the Wisconsin adidas Invitational, and is still ranked higher in Flotrack’s subjective rankings—but by only one position. #2 Syracuse is an overwhelming favorite for the team title. The women’s race at the ACC Championships is expected to be very close between #7 Virginia and #8 NC State. The Wolfpack’s superfrosh Ryen Frazier has been manking headlines, but Notre Dame’s Molly Seidel is a vastly superior runner and the reigning NCAA 10k champion. #20 Princeton rates as slight favorites over #25 Columbia on the strength of a 13th-place finish at the Wisconsin adidas Invitational two weeks ago, but the Lions weren’t far back (17th), and neither were Dartmouth (20th) or Harvard (26th). IN the men’s race, #17 Columbia is the favorite over #29 Penn. #1 Colorado has an air of invincibility, but Oregon is ranked #3 and awfully darn good. The Buffaloes have a weak spot at the 5th man, and that could open the door. On the other hand, their 5th man is still better than the 5th man on any other team in the conference. Boise State freshman Allie Ostrander has run just two college races so far but has run them well: second at the Roy Griak Invitational and a win at the Wisconsin adidas Invitational. Flotrack has her rated as the #1 woman in the NCAA. New Mexico is the clear #1 team in the NCAA has has four of Flotrack’s top 14 individuals: Courtney Frerichs, Rhona Auckland, Alice Wright and Calli Thackeray. Colorado’s women are #3 in the most recent poll to Oregon’s #5 (and Stanford’s #10 and Washington’s #12), and the Ducks are the deeper team. Depth is key in a smaller meet like a conference championship, especially one as competitive as the Pac-12. Two years ago, Wisconsin’s run of fifteen straight Big Ten championships came to an end, but the Badgers went back to first place last year. It doesn’t look good for them right now—they finished 17th at their own invitational two weeks ago—and the Badgers enter the championship meet ranked just 27th, behind #5 Michigan and #19 Michigan State (and just barely ahead of #28 Indiana). If they finished outside of the top 3, it would be their worst result at the Big Ten meet since 1980—and put them at risk of not qualifying for the NCAAs for the first time in school history. On the women’s side of the competition, #2 Michigan is a strong favorite, although four other teams rank in the NCAA’s top 30 (Penn State, Michigan State, Minnesota and Purdue).